Last night’s Cosmos episode, the twelfth of thirteen, gave a straightforward and understandable explanation of how carbon dioxide warms the Earth. I thought it was very well done. Now, the denier must explain in what weird universe adding heat energy to the Earth doesn’t affect temperature. It really is that simple. OK, details, just because they’re great science. First, the Earth emits much more infrared than it absorbs from the Sun. The Sun is quite a bit hotter than the Earth, so hot that it glows white-hot. The Sun sends a great deal of visible light toward the Earth. The Earth glows, too, but it glows in invisible infrared light. Consider that the Earth needs to radiate away the same amount of energy as it absorbs – otherwise the Earth would get hotter and hotter, until it, like the Sun, glowed white hot. Clearly the Earth is not glowing white-hot. Most of the high-energy light from the Sun is absorbed by the Earth and re-emitted as much lower-energy infrared light. With no atmosphere, that infrared light would just travel out into space. This is what happens, for instance, on the Moon. On Earth, though, the carbon dioxide (and other gases like water vapor and methane) in the atmosphere redirect some of that infrared light back. Why? It’s because of the shape of carbon dioxide. These molecules are made of just two atoms. Suppose someone asked you to bend this molecule. You can’t bend it in the middle, because there’s no atom there, just empty space. The only way to affect its shape is to move the atoms closer together or further apart. It’s like trying to break a baseball bat by pulling it longways. Pretty hard to do. This is why the air is see-through. 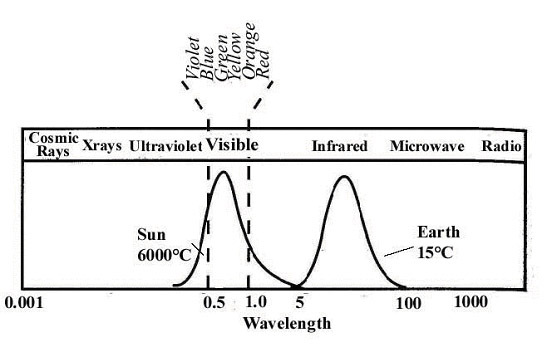 Not just infrared light, but even visible light is of too low an energy to vibrate oxygen or nitrogen molecules (actually, blue and purple light do have enough energy to affect the molecules somewhat, which is why the sky is blue). 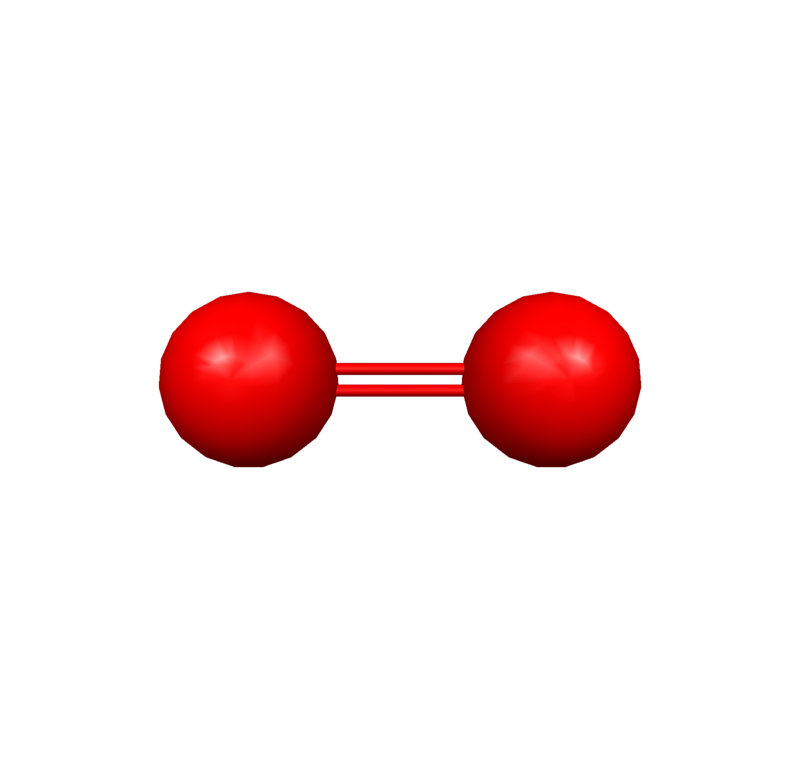 This molecule has three atoms. It can vibrate in a new way. In addition to the really hard direction of pushing and pulling length ways, this molecule can bend in the middle. Just like breaking that baseball bat is a lot easier if you push up in the middle and down on both ends, so the CO2 molecule can vibrate back-and-forth along this shearing direction with a much lower energy input. It turns out that energy level is smack in the middle of the infrared spectrum. These facts can’t be denied. CO2 does absorb infrared light and send it back to Earth, causing the Earth to heat up. You can have your own opinion regarding what we should do about this extra heat (I have some strange ideas myself), but you’re not entitled to your own facts. Oops. In my excitement about the idea of carbon dioxide vibrating up and down in the middle, I made a mistake about why oxygen and nitrogen don’t absorb visible light. It isn’t fundamentally because it’s hard to make them vibrate back and forth in a straight line (it is, and this fact of nature is why carbon dioxide doesn’t absorb visible light) – rather, as my friend Bruce Lerner reminded me, it’s fundamentally because the two atoms in the oxygen and nitrogen molecules are the same. Since there’s no difference in their ability to attract electrons, there’s no inequality in the distribution of electrons even if these molecules vibrate. This doesn’t really change the point of the post, which is all about how we know what we know about CO2 as a greenhouse gas, but it does show that I should be more careful. 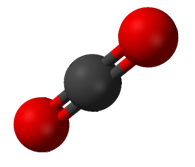 I first learned about this interesting feature of carbon dioxide and its vibrational modes from an excellent book by Michael Fayer called “Absolutely Small” and I got so excited about his description of the molecular vibration that I put words in Dr. Feyer’s mouth. He wasn’t talking about oxygen and nitrogen vibrating back and forth, but specifically about the relative difficulty of getting CO2 itself to vibrate back and forth. Always check your sources, and doubt everything, especially yourself!